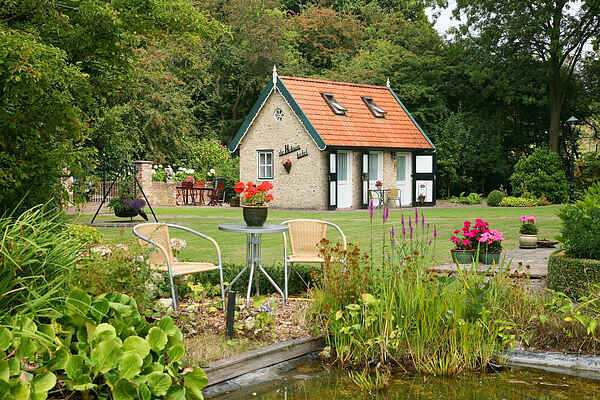 This small but cosy holiday home is located on the outskirts of Veere (Zealand). This location directly borders on the woody nature area with many walking and riding paths. The Veerse lake is located at only 200m and offers many opportunities for water sports. The North Sea beach of Vrouwenpolder is only 5 km away. On the Zealand island Walcheren you can make lots of fun excursions to e.g. the historical centre of Veere, Middelburg, Domburg and Vlissingen. There are several holiday homes and a mini camping on the domain.